Blogging is a key component of digital marketing as it fulfils the needs of both content and search marketing. I shall unpack later on in this post these two critical pillars in this post. Despite its seemingly straightforward meaning, blogging still escapes the scope of understanding of many marketers. To those who still have a fuzzy understanding of the concept, blogging is the practice of writing conversational-style articles to entertain, engage, inform and assist the target audience through relevant content. Digital marketing has rewritten the script and marketing is now driven by content. The internet is pervasive and customers are hungry for content. They use digital tools to search for information in what Google calls the “zero moment of truth (ZMOT)”. According to Google, the main proponents of the concept, the internet has changed how we decide what we buy. A crucial online decision-making moment exists in which customers compare the products, prices and suppliers based on online content they would have discovered. This is the basis of ZMOT. The equation of great content and ubiquitous digital tools produces an unprecedented opportunity for brands to win new customers. Reports claims that when a customer visits a service provider he will be 70% ready to make a purchase decision after making research. What a confirmation of the influential role that content plays in nudging customers down the purchase funnel. 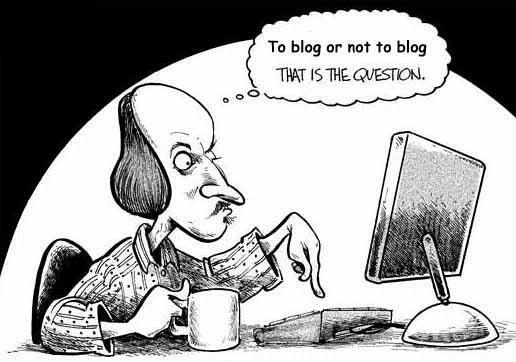 Blogging is also important from a SEO perspective. Blogging helps websites to carry fresh, keyword-rich content that search engines like and reward through higher ranking on search engine results pages (SERPS). On a different note blogging increases the number of pages that are on a website. What is the secret sauce of successful blogging? Content should alleviate the customers’ pain points if it is to be effective. Knowing a customer's pain points allows marketers to address them and position their product as the solution. This understanding fosters empathy to a brand’s message and helps customers to better relate to the company. It ultimately builds trust that drives repeat business. Creating well-developed content is the first step in positioning a company or a professional as the go-to expert in a given field. 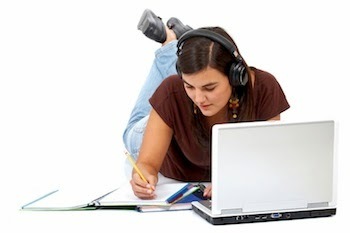 The next is to create a marketing plan that determines how to take that point of view to marketing through blogging. Thought leadership marketing lends authority to a brand and elevates it as a market leader in a particular industry. Questions in a blog post are very important as they make it appear as if the marketer is having a conversation with the reader. Why is this important? Because it builds the necessary intimacy that triggers the expected customer behaviour. Get the idea? Sharing blog links on social media platforms and social bookmarking sites helps to attract traffic and page views. Research has demonstrated that companies with a blog enjoy 65% more business opportunities than those without. Blogging helps solve customers’ pain points, builds thought leadership for the brand and creates intimacy between brands and customers. It is a widely accepted fact that word of mouth marketing (WOMM) is the most effective kind of marketing in comparison to paid advertisements. How many times have you told your friends what to buy as well as the name of shop and they accepted the advice without second thoughts? Why does this happen in a near-predictable fashion? The answer is one key word that underlines all great relationships, TRUST. Friends readily accept their peers’ recommendations because of the water-tight bonds that they share. Welcome to the world of consumer tribes! The strong relationships that exist between friends or a community are a lucrative resource for marketers who understand the power of WOMM. Social media marketing enables marketers to profitably tap into consumer relationships. It is easier and faster for conversations to take place on social media than elsewhere. One leading expert in social media described platforms like Yookos as being among some of the biggest voluntary social groups in the world. 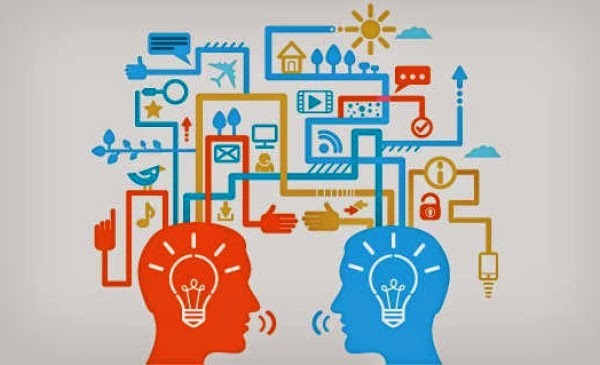 The social media universe is a complex network of connections, interconnections and inter inter-connections of highly active and engaged users. This is indeed an ideal set up on which WOMM can thrive. Consumers are always on and connected in the digital world. They spend much of their time chatting and sharing content with friends. Social media is essentially about the conversations that take place between friends and communities and marketing in this place is centred on conversation management. The technology behind social media enables people to express their inherent human nature fully. People are naturally social, inquisitive and curious. They want to reach out and connect with their fellow type and enjoy life as a group. This accounts for the popularity of social media platforms. One other peculiarity is that humans love talking about anything and everything all the times. The never ending stream of conversations that take place on social platforms have more volume and are more ferocious than any river you can think of. This opens up vast marketing opportunities for savvy marketers. A word of caution though. The best type of social media content is user-generated and not the branded content from businesses. Users dislike being marketed to on social media and they also distrust marketing messages. This does not mean that brands should shun social media though. On the contrary, budgets for social media have risen to $11.87 billion in 2014, up from $10.24 billion in 2013. The brands that are enjoying great success on social media are those that are creating relevant and engaging content that in turn triggers conversations among peers. Whilst consumer detest over marketing on social media, they do not mind consuming engaging content from the brands if it resonates with their preferences. What makes the social media environment appealing is that it is driven by the sharing economy that allows creative content to go viral, sometimes attracting up to a million views in the process. Word of Mouth results in an increase in both brand awareness and sales. The good news is that better days are still to come as social media platforms also represent the cheapest form of communication. The results are longer and more frequent conversations that feed word of mouth marketing. Marketers can adopt two types of campaigns, organic and paid, in social media marketing. Organic campaigns are free and the acquisition of new customers is achieved through the supply of engaging and relevant content. On the other hand, paid campaigns enable brands to pay for their advertisements to be displayed on social media websites. Whilst they are divergent views on which campaign type produces more results, I am of the opinion that they all should be part of a brand’s marketing mix. Social media users dislike overt marketing messages and what should brands do so that they do not irritate their target audience? They can post organically to create strong brand-customer relationships. Creative and relevant content is foundational to successful organic posting. · To get shared in order to expand reach (more on that later). · To get commented on in order to increase your conversion rate. Visual content especially provides better engagement and converts more. However, post reach has been dwindling of late. Brands are now reaching between 2 to 4.5% of their fan base. The argument made by some social networks is that a user can receive up to 1 500 new posts each time they login and therefore, there is a need for them to intervene and show only the content that engages better and more relevant to the users. Whether this is true or not is a discussion for another day. What is beyond doubt is the fact that this “Reachpocalypse” has made social media sites to smile all the way to the bank. The good news is that a decrease in organic reach doesn’t have to mean a drop in engagement or conversions. The problem of the declining post reach is solved by paid campaigns. This is one of the most successful ways that brands can use to reach their target audience. The particular pull of social media advertising is that unlike many channels that offer either reach or depth, social media offers both. “Its consumer engagement at scale with the ability to increase awareness, to move a consumer down the funnel and to drive sales” said Don Mathis, CEO of Kinetic Social. Paid campaigns leverage social media websites’ ability to collect demographical and psychographic information as well as track the online behaviour of their users. Such intelligence is critical as it enables social media platforms to display the right advertisement to the right audience at the right time. This in turn leads to positive return on investment and improved loyalty from the marketers. Clearly, organic postings and paid ads can co-exist to deliver value to a brand. Whilst the post reach in organic campaigns has come down a lot, they still offer the best chance to engage with customers. Paid campaigns play a supplementary role by providing the expected reach.